The main area of exploration for my work is the human form and its connection to nature, feeling,and relationship. My pieces are built up in coils of clay; sculptural and occasionally functional, they celebrate the body in its many forms. I draw on a mix of imagery from my life, my Dartmoor environment, my travels, my friends and my dreams. I strive to create work which explores the vulnerability and wonder of the human condition with reverance and with humour.I feel my work is created in a strange inner world of dreams, emotion, archetypes and nature's wildness. 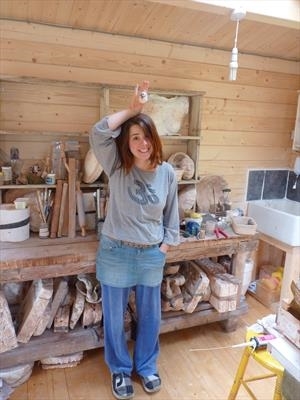 Another important area of exploration in my work is teaching, for which my enthusiasm has grown over the years as I have watched so many people's creativity develop and blossom through the medium of clay. My weekly classes and weekend one-off workshops are run from my studio in my beautiful garden, at my home on the edge of Dartmoor. 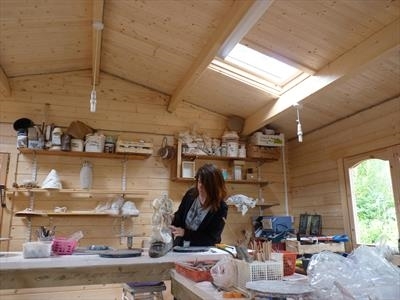 They cover all aspects of ceramic sculpture and pottery, including Raku and garden sculpture, and are open to all levels of ability, in a relaxed and friendly atmosphere usually featuring cups of tea and cake! If you wish to make a purchase, please contact me by email before making a payment to arrange how we can get the piece to you!